We are very thankful for your orders but as hard as we try, we are not Amazon with hundreds of robots moving packages for us. One day we might have some (and we will make them fast too! ), but for now please allow 1-4 days for your order to be shipped regardless of the shipping method selected. Orders placed on Friday after 12PM PST or over the weekend will begin processing on the following Monday or next working day. Business days do not include weekends or holidays. Orders placed on Friday after 12PM PST or over the weekend will begin processing on the following Monday or next working day. • Orders are shipped from our location in Costa Mesa, CA. • Shipping changes including intercepts and address changes may be subjected to a $15 Service fee. • For orders outside the United States, please see our International Shipping and Customs section of our Shipping Page. Orders $75.00 and over qualify for our fast free shipping promotion. For orders outside the United States, please see our International Shipping and Customs section. We understand that when you make an order, you want your gear as quickly as possible and we will do our best to make that happen! Most of the items we sell will ship quickly and be at your door fast. All Orders are Shipped out of Costa Mesa, CA warehouse. Additionally, we work closely with our vendors in order to have the product shipped directly to you from their warehouse if that means you will get the product faster. We work hard to make sure items we sell are available for quick fulfillment and shipment, naturally not all items will always be in stock at all times! In some cases we will split the order and ship each package out to you individually and in other cases we may need to consolidate the items in one location to ship out as one package. We utilize our best judgment in an attempt to get the products to you as quickly as possible. A shipping confirmation email including carrier specific tracking information will typically be sent within 24 hours of an item shipping. For example, if you place an order Monday night and it ships out Tuesday morning, you will receive your tracking information either Tuesday evening or Wednesday morning. It is the buyer's responsibility to know and understand the customs laws regarding the country of delivery. Rottweiler Performance does not charge tax on International orders. Any customs fees that are charged by country of delivery are the responsibility of the buyer. Rottweiler Performance generally uses USPS for international shipments as they seem to get through customs quicker than other carriers. Please know that tracking packages after they have entered customs can sometimes but rarely be difficult. Please note that Rottweiler Performance has no control on the timing shipments may spend in Customs Inspection. 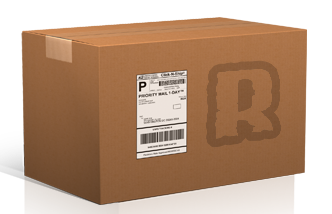 If you refuse your package or the package is returned to sender, you are responsible for the original shipping charges as well as any custom fees or taxes that are incurred. If the package is undeliverable and returned to Rottweiler Performance, the shipping and return shipping total charges will be deducted from your merchandise payment amount refunded. In the instance that the price to return the merchandise exceeds the total amount of the merchandise including shipping costs, the package will be abandoned and you will not be refunded. You may return most new, unopened items within 30 days of delivery for a refund less shipping costs. A 10% restocking fee may apply if items were specially assembled for your order. Any custom, programmed or specially altered items are not returnable. Rottweiler Performance can only accept returns from purchases made on Rottweiler Performance.com. If a product was purchased at another retailer, it must be returned where it was purchased. We cannot accept returns made after 30 days. We cannot accept returns for used, dirty or damaged goods and products returned under these conditions will not be processed. We reserve the right to deny returns if the item(s) does not meet our policy requirements. If the return is a result of our error (you received an incorrect or defective item, etc.) we will also pay the return shipping costs. If you need to return an item, simply login to your account, view the order using the "Complete Orders" link under the My Account menu and click the Return Item(s) button. We'll notify you via e-mail of your refund once we've received and processed the returned item. Please contact us to obtain the return form. Your returned item will be thoroughly reviewed and if approved, will be processed within 7 business days after the item is received at our warehouse. Credit will be posted 1-5 days after the date of processing to your original form of payment. You will be notified via email. Unfortunately, we cannot refund duties, taxes or shipping charges. USPS will attempt to deliver a package up to 2-3 times, after a failed third attempt, the package will be re-routed back to our warehouse and a refund will be issued to the original form of payment less shipping costs and the item will be returned to stock. If you would still like this item, you will need to reorder the item again. In the event that USPS is unable to deliver a package due to an incorrect address entered by the customer, the customer’s refusal to pay duties, multiple failed attempts to reach the customer at point of delivery, or otherwise, Rottweiler Performance is not responsible for payment of return shipping costs levied by the courier. Similarly, Rottweiler Performance is not responsible for the payment of re-shipping merchandise to the customer. In cases such as these, the customer is responsible for all shipping costs associated with returned packages due to failed delivery and is non-refundable. Please remember that we can only ship to the address that you have input into the system upon checkout. Awaiting Fulfillment — Rottweiler Performance has received the order and is in preparation for shipment. Order being picked & shipped — The order its being pulled and packaged (usually this can take up to 1 1/2 days), and the shipping label will be printed when your order is ready to be picked up by the courier. If there is a backordered item in your order, the status will change to Partially Shipped and you can access your account in our store to see more details. Partially Shipped — Only some items in the order have been shipped; I.E. Pre ordered items or backorders and the customer has opted for a ‘partial shipment’. When a customer receives a partially shipped status he/she will get an email from our staff informing about the unshipped items. We encourage our customers to check their Junk mail /Spam folder and look for the tracking information email if they feel they have not received it yet. Refunded — The customer has requested a refund.